The summer is upon us, and this is definitely one of the best times of the year to enjoy a ride on your motorbike. The cool breeze against your hair while you are revving your engine on a hot day is definitely one of the highlights of the season. Before you decide to take your bike out for a ride, there are a few pointers you need to keep in mind in order to ensure a safe journey. The first one would be to make sure you have a valid bike insurance policy, and that it has been renewed. You never know when the unexpected can happen, and it always pays to be prepared. 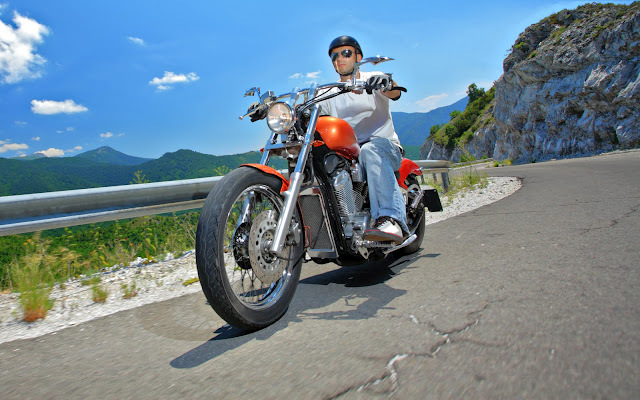 Let us take a look at some of the things you must not overlook before you take your bike out for a joyride this summer. From the air pressure to the headlights, signal lights, brakes, and engine, it is wise to give your bike a proper top-to-bottom inspection before you take it out, especially if it has been a while since you did so. Servicing your bike regularly will keep things in check and ensure your safety on the roads. Though it maybe fun to ride your bike in the summertime, it can also get a little uncomfortable. Thus, it is best to invest in protective gear like sunglasses, helmet, gloves and perhaps a full-sleeved light jacket. Tail bags, saddle bags, handlebar bags, and drink holders are some of the many summertime accessories you can add to make your ride smoother and more summer-friendly. An Insurance for your bike is a safeguard to ensure that you and any third party involved in any accident or mishap on the road are well protected financially. It is a necessity and no compromise should be made on keeping it up-to-date. Online insurance for bikes are easily available and convenient to avail. If it's been awhile since you took your bike out for a ride, it maybe a good idea to go for some fun group rides with your friends before you set out solo. This will jog your riding memory and keep you safe on the roads. It is best to know about much the mercury will rise on a particular day before you go for a bike ride. This means you can equip yourself with water and other necessities required to beat the heat. Every motorbike has a limit when it comes to power, speed, distance, or heat. Knowing your vehicle is the first step towards completing a successful ride. If you plan to ride along with a friend, take care to invest in a second set of riding gear, especially an extra helmet for the long rides. This will keep you and your friend safe on the road. Although, motorbike rides are thrilling, it is always advisable to keep a level head and be aware and mindful of traffic rules and regulations at all times. Keep the following tips in mind and you will be sure not only to enjoy a great motorbike ride in the summer but also to keep yourself safe from any accidents or mishaps that may occur.